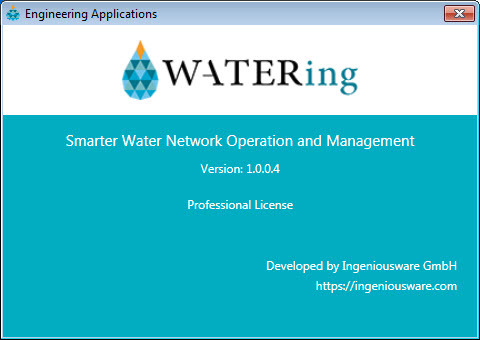 With your license code you can request a demo license directly from the web or you can make your request directly from Water-Ing if you are connected to internet (if you are using a proxy server then better request your license directly from the web). 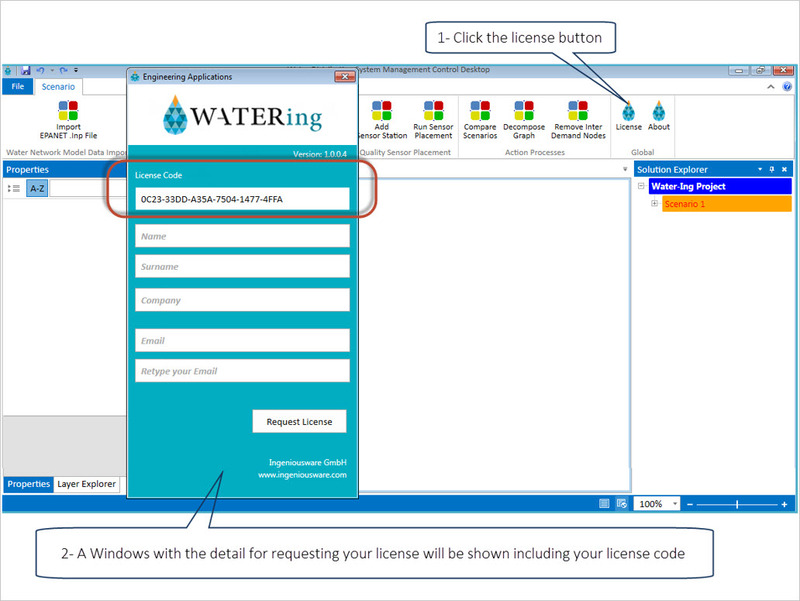 Open the application and your license file will be recognized and activated (in case the application was already open, close it and open it again to activate your license). 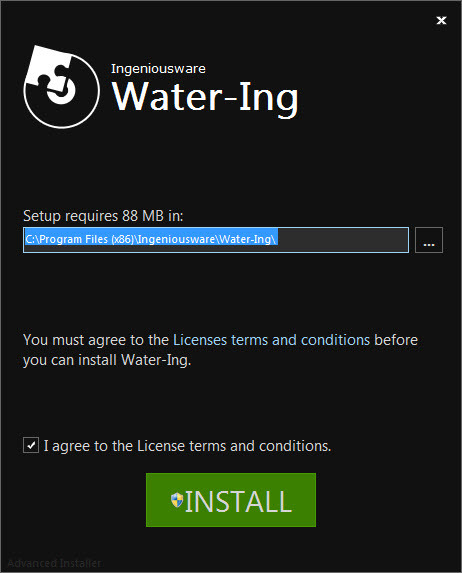 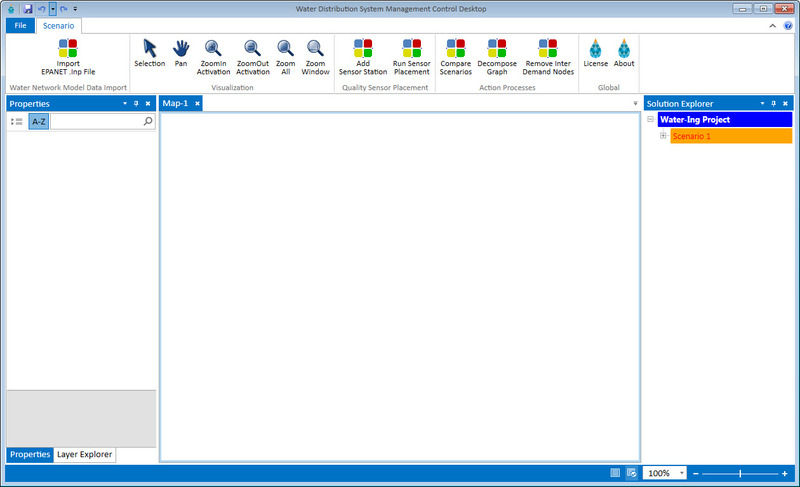 When the application start, the splash windows will show the current activated license you now have.